The festival begins immediately after the parade and concludes at 4 p.m. 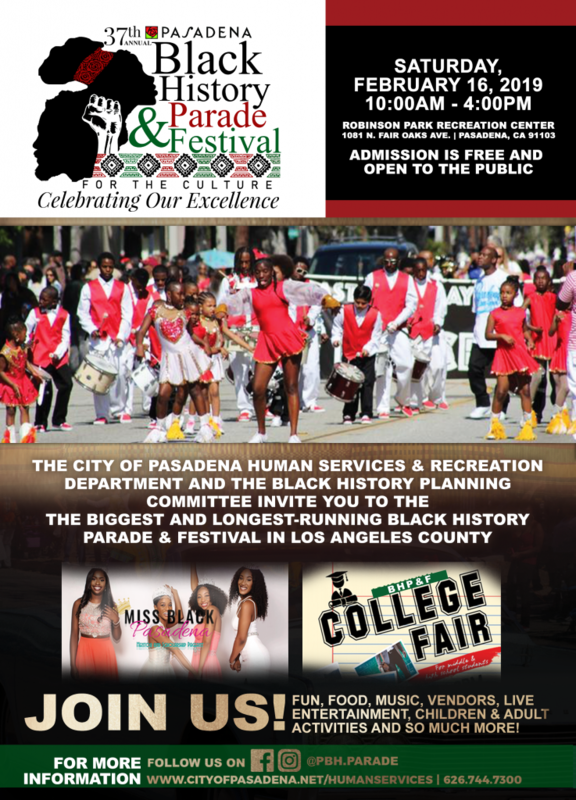 The festival features live entertainment for all ages, food for purchase, an exciting meet-and-greet with Miss Black Pasadena, the Power 106 Street Team, free informational booths and a children’s zone jam-packed with fun, free activities. The event is known for a variety of great food available for purchase, including delicious barbecue, chicken and fish dinners, grilled burgers and hot dogs, and fun goodies like kettle corn, lemonade, pies, cakes, and ice cream. New this year is a Historically Black College and University (HBCU) College Fair featuring the “Divine Nine,” a network of African American fraternities and sororities. 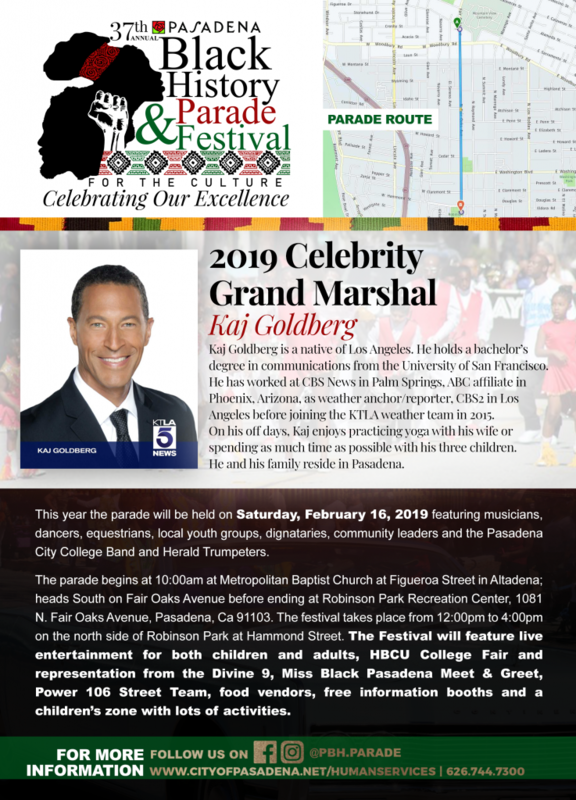 Attendees are encouraged to arrive early to navigate around street closures, find parking and claim their favorite viewing spots along the parade route. Free parking will be provided on a first-come, first served basis at Calvary Christian Methodist Episcopal Church, 135 Glorieta St., Pasadena. 1081 N. Fair Oaks Ave.